Natural to Propane Swap Kit . For use with Type 3 , Type 4 and Type A and Type C Kits ONLY. 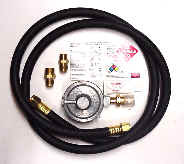 Allows an engine used for natural gas or low pressure propane to be disconnected from the pipe system and connected to a propane cylinder. The NPSK-6 can be used for up to the 30# grill size cylinder. The NPSK-12 is for any propane tank or cylinder larger than that. 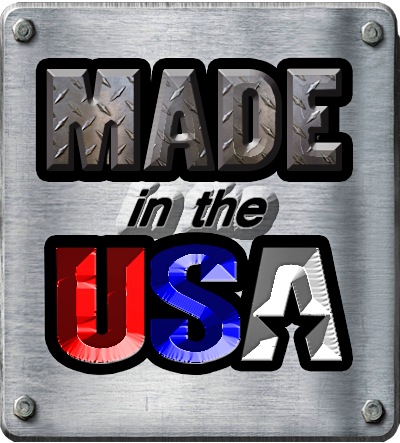 Includes: Left handed POL cylinder fitting works with new or old cylinders, HIGH Volume low pressure regulator for up to 20hp engine, pre-assembled 3/8" ID rubber hose with 3/8" male pipe thread ends. Pressure tested to 420 psi (Pressure test certification available upon request). The 3/8" rubber hose can be used for final hook up on natural gas systems for engines up to 5h only and can be used on low pressure propane systems for engines up to 15hp only.